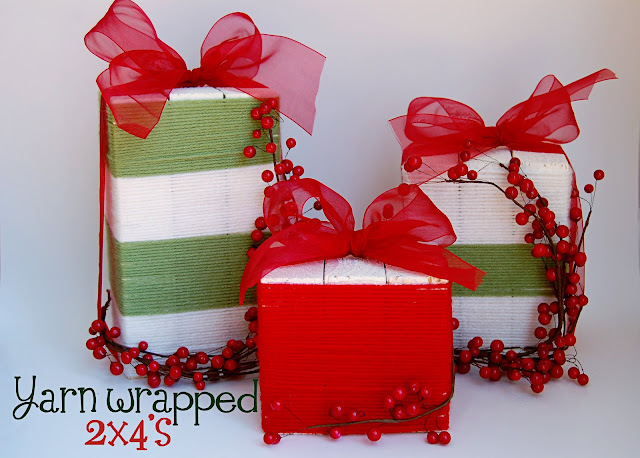 These cute yarn wrapped 2x4s are the perfect addition to your 2x4 holiday decorations. Give your kids some scrap pieces of wood and yarn and they can wrap them to look like Christmas presents. You can see the tutorial for these cute yarn wrapped Christmas gift decorations over at Southern Lovely. 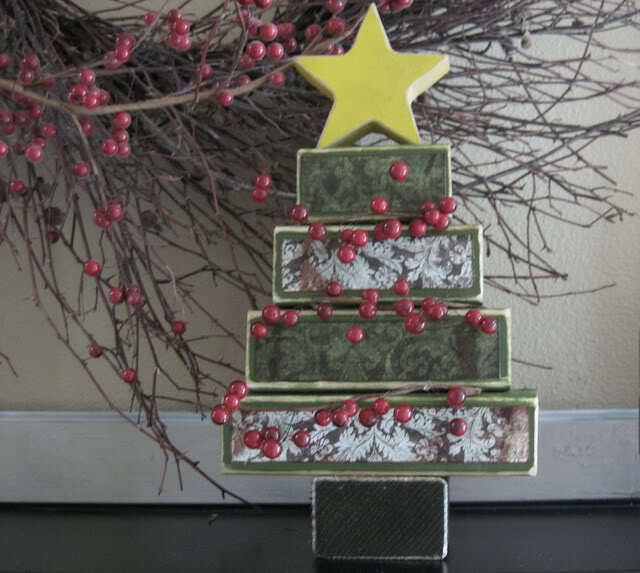 If you are feeling a little more ambitious and want to break out the paint and decoupage, check out these cute wooden Christmas trees from Under My Umbrella.